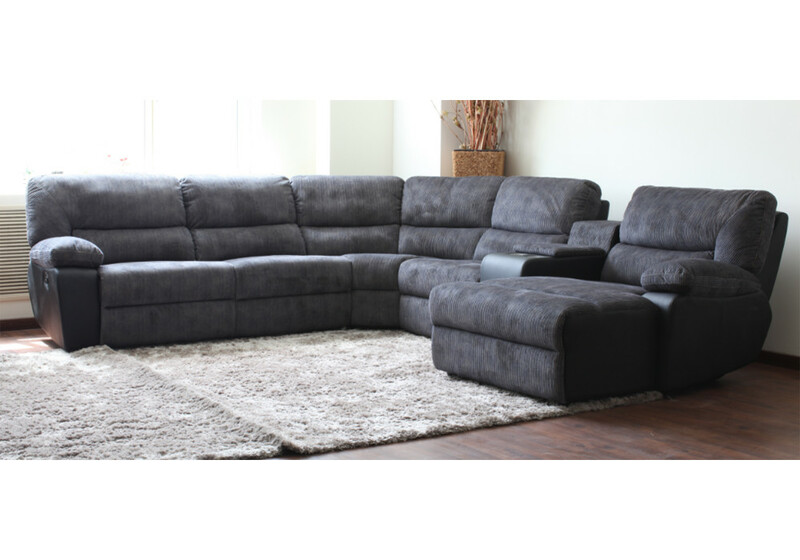 The Essex reclining lounge suite with built-in drink holders combines comfort and convenience. 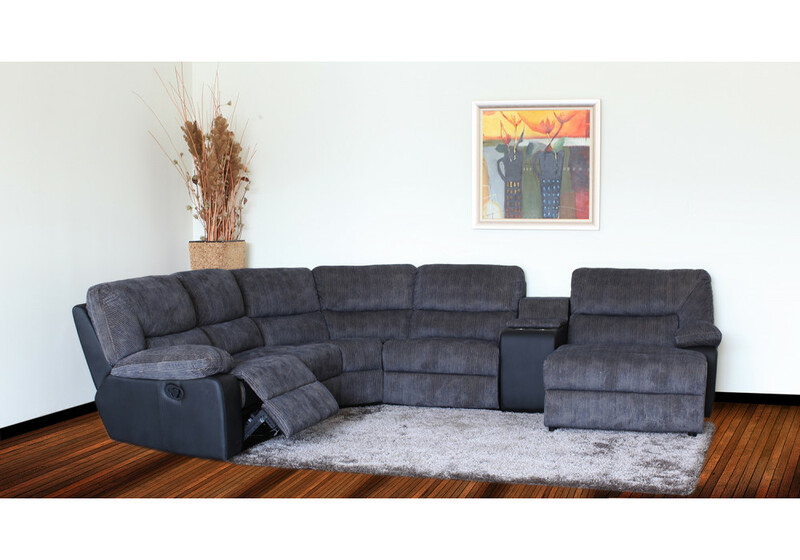 Available with left-hand facing or right-hand facing chaise. Solid timber frame with zigzag spring system. Cushions made from corduroy fabric, 100% polyester.